Hell yes, it does. Only a year before I saw that question, a recruiter called me with an incredible position at Amazon. How’d she find me? You guessed it: LinkedIn. 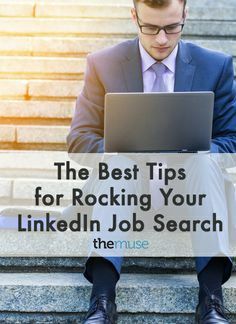 According to LinkedIn, completed profiles are 40 times more likely to get a response from employers, yet only half of the platform’s 400 million profiles are 100% complete. Even worse, LinkedIn is biased against rookie and incomplete profiles. If you want to show up in recruiter searches, you have to work to improve the strength of your profile. I’ve seen a lot of imaginative headline work on LinkedIn. There are plenty of people who describe themselves as “Marketing Ninjas” or “Accounting Wizards.” I love the creativity, but the problem is they’re too clever for their own good. I can’t stress enough how important it is to stamp your profile with a well-lit and professional headshot. Anything less and you can expect employers to skip right by. Don’t have a professional headshot? Services like Snappr are making it easy to book a professional photographer for a quick session. Aren’t sure if your photos are all that good? With Photofeeler, you learn from the wisdom of the cloud whether your shot presents you as a competent and likable professional, or a creepy and off putting amateur. In the two years I spent refining my profile, I learned quickly that you’ve only got a few lines to capture recruiters’ interest. You’ve got to make every word count. Recruiters want someone they can get excited about presenting as a promising hire. So, write your story in a way that speaks to their needs more than it does your own. Author Bio: My name is John Marty and I am passionate about technology, and its ability to solve problems. One of my biggest strengths is the development and communication of big ideas that drive at the heart of consumer pain points. The communication of these ideas requires delicately crafted, and data driven narratives that consider all stakeholders. My understanding of the intricacies of software development as well as my entrepreneurial, and educational background provide a strong foundation to articulate these ideas, gain buy-in, and drive initiatives forward. I have created a Youtube Channel which is dedicated to sharing all the invaluable lessons I’ve learned on personal growth, happiness, my perspective on entrepreneurship, business, and leadership. Please feel free to “SUBSCRIBE” and comment.